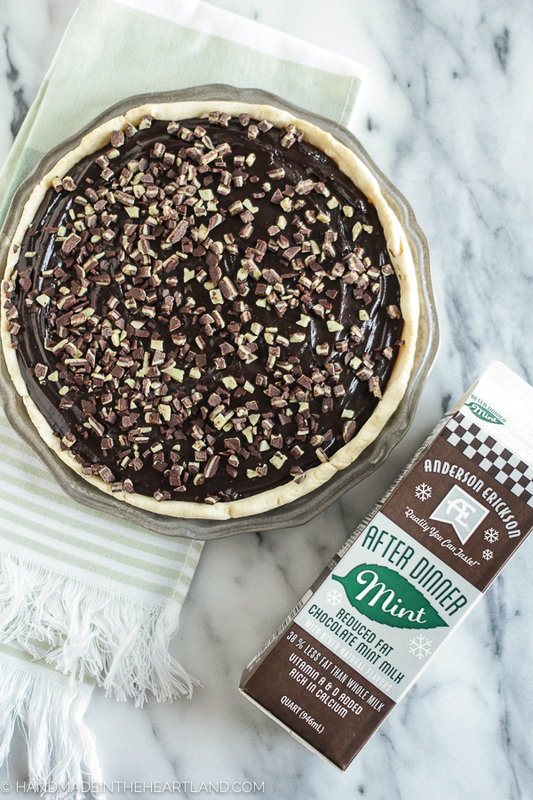 This chocolate mint pie is the perfect dessert recipe for serving to friends and family this holiday season. It’s made with AE After Dinner Mint Chocolate Milk! I’m happy to be a brand ambassador for AE Dairy and share delicious recipes with you using their ridiculously good products! In the process of planning to make this recipe I kid you not I had to go back to the store 3 times to re-buy quarts of AE After Dinner Mint Chocolate Milk. Why? Because we kept drinking it and drinking it and drinking it. I’m not even a big chocolate milk fan but I LOVE this milk! It’s only available during the holiday season, which means I can’t let a week go by where I don’t purchase this limited edition goodness! Oh and this pie. 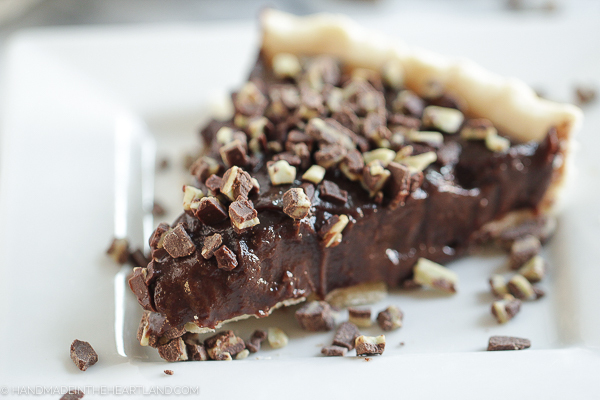 This pie is what my chocolate dreams are made of. It’s restaurant quality ya’ll. Like THAT good. 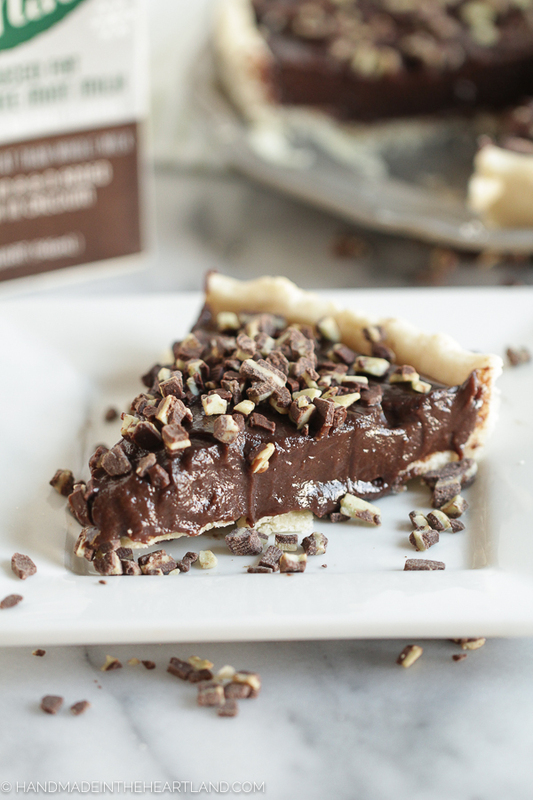 Chocolate pie is kind of a standard around the holidays, right? This is the perfect way to spruce up a traditional recipe. Honestly all I did was take my favorite chocolate pie recipe and replace the plain milk with the AE After Dinner Mint Chocolate Milk. 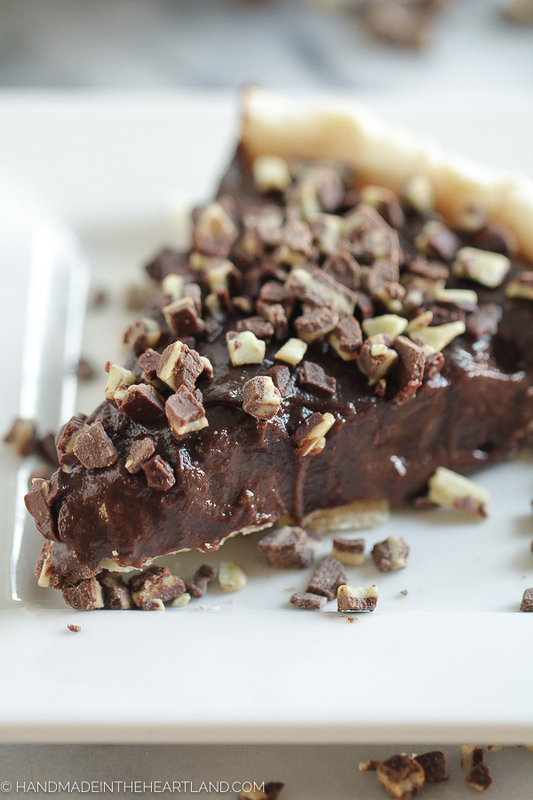 The added chocolate and hint of mint made it deeply rich and sinfully delicious. I promise you’re going to love this recipe! I’ll be honest, I don’t make pie crust from scratch that often. I find the store bought versions to be almost as good and a total time saver. However, when I was making this pie I didn’t have one on hand. I reminded myself how simple it is to make a pie crust and it’s pretty quick. I used my Roul’pat to roll out my dough on and it’s awesome because I can pick up the entire mat with the pie crust on it and then flip it upside down onto my pie dish. 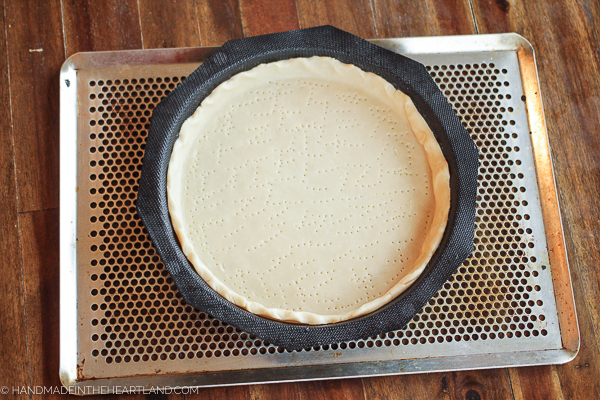 Easiest way to transfer a pie crust, ever! Make sure to poke holes in your pie crust before you bake it. 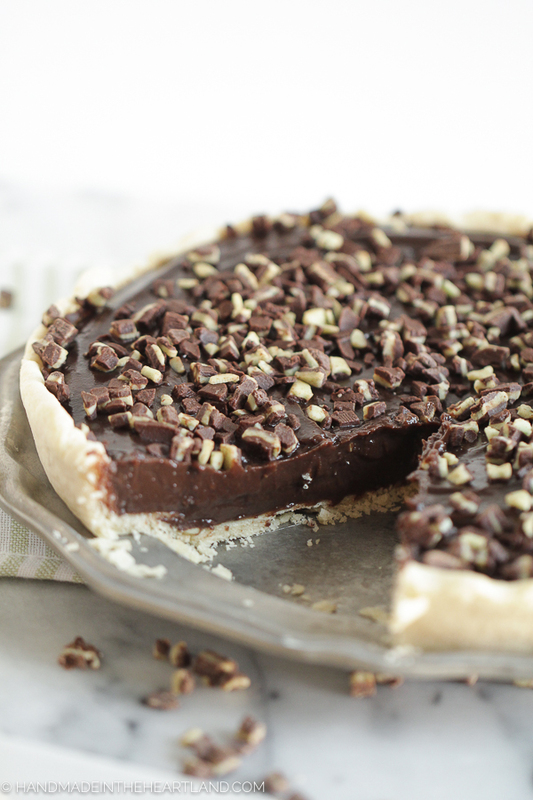 This chocolate pie filling is made on the stovetop so you only bake the crust and then place the filling in after the crust is baked. I’m pretty sure I’ll be adding this to my Thanksgiving pie list. Even my husband who isn’t a chocolate fan (HOW is that possible?!) thought this pie was incredibly good. It’s sure to be a crowd pleaser this year around the holiday table! What are your favorite pies for the holidays? Do you have the same ones year after year or do you switch it up? I haven’t quite made any traditions yet with specific recipes but I’m feeling like this one might be a repeating pie for years to come! 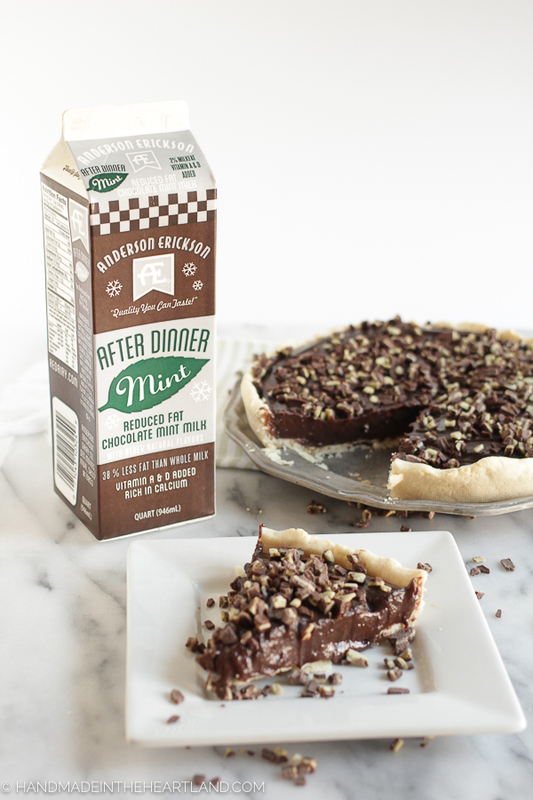 This chocolate mint pie is filled with rich flavor and just enough hint of mint to be refreshing. 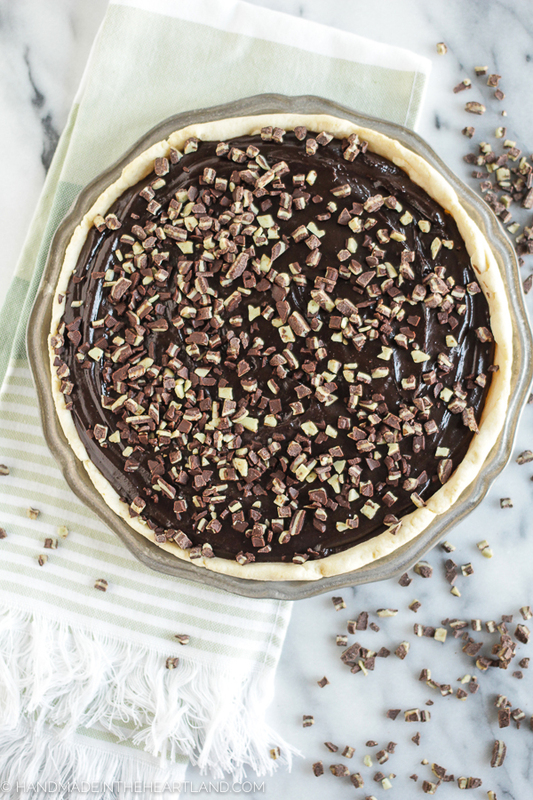 This pie is a showstopper! 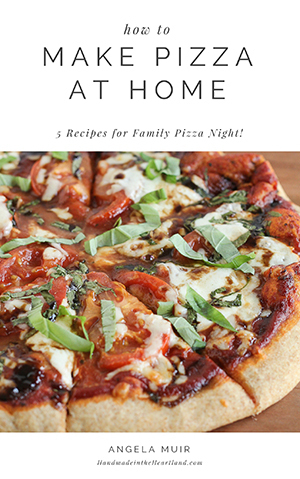 Everyone at your party or holiday dinner will love it! First of all you can totally use a refrigerated pie crust for this recipe, normally I do. Follow these instructions if you choose to make the crust from scratch. Preheat your oven to 375. To make the crust add the flour, salt and shortening to a food processor fitted with the dough blade and let process until the ingredients are mixed and it starts to look like little pebbles. Add in the water one tablespoon at a time until the dough comes together in a ball. 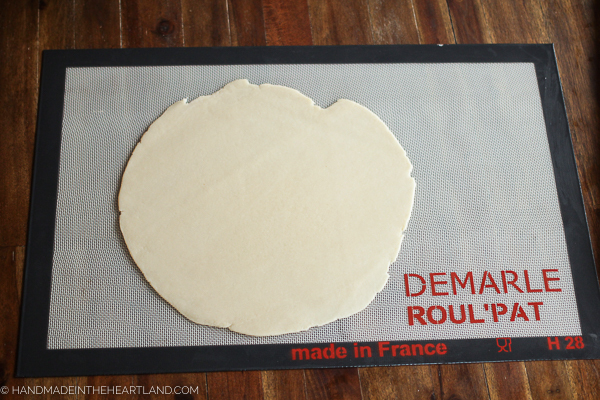 Roll out the dough on a work surface, I use my Roul’pat and it makes my life easier! Roll out the crust to the size of your pie dish. Place the dough into your pie dish and poke holes all around the bottom of the dough with a fork. Bake for 10-15 minutes, you want the crust to be slightly golden brown. To make the pie filling you will want to use a medium stock pot. Add all the ingredients to your pot and put it over medium heat. You will whisk all the ingredients together over the heat for 10-15 minutes. Whisk the mixture so that all lumps are gone and it thickens. You will know when it’s thick enough, it will come to a simmer and then all the sudden turn to a very thick pudding texture. Remove it from the heat. Let the pie crust and the pie filling cool and then place your filling into the crust. If you wish you can sprinkle crushed up chocolate mint candies on top. Place in the refrigerator 3-4 hours or overnight. Serve cold and Enjoy! If you make this pie please share it with me! I’d love to hear in the comments or tag me on Instagram (@handmadeintheheartland) or Facebook! Need to save this recipe for later? Pin the image below!